Housing for All by 2022. This would entail cost of Rs 10,000 crore, which will be shared between all the stakeholders,” Anoop Kumar Mittal, chairman of NBCC, told a newspaper. He said some of these projects would start this year itself. These projects would offer residential apartments starting from Rs 10 lakh and going up to Rs 50-60 lakh depending on the location of the project. NBCC is expected to make a profit margin of around 8-10% through these projects. 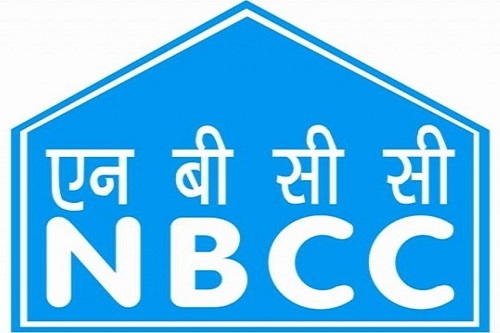 NBCC has over 200 acres of land parcels in cities such as Alwar, Jaipur, Faridabad, Kochi, Patna, Kolkata, Bhubaneswar and Coimbatore that would be utilised to build these houses apart from land to be allotted by the government. The PSU has initiated discussions with many PSUs to execute the housing projects on their surplus land parcels in locations that include Delhi, Gurgaon, Pune, Hyderabad, Nainital and Raigadh near Mumbai. “We have not signed any agreement with any public sector undertakings for land parcels as yet. But we have initiated several discussions, which would soon yield some result,” Mittal said. The agreement to be entered with public sector undertakings for their land would entail some commercial development that can support construction of affordable homes at that location and make that financially feasible. Surplus money to be generated through these projects would go back to PSUs and they would be able to fetch compensation equivalent to at least the circle rate applicable there. Affordable housing has been attracting attention from realty developers and financiers over the past few quarters and the pace of development is getting faster. The government’s decision to grant infrastructure status to affordable housing in the 2017 Union Budget has rejuvenated the interest in this segment in a significant way. The move is allowing developers of these projects get access to institutional funding with better terms. The government’s efforts to enhance the supply of affordable housing units by offering tax incentives and sops to realty developers has now started yielding results. More developers and bigger brands, hitherto known for their premium projects, have also forayed into this segment, while existing players are scaling up their plans. This is evident from the remarkable rise in the number of affordable housing projects that have been launched over the past year. There’s a gap of around 18 million urban housing units in the low and mid-income category by 2022 across tier 1, 2 and 3 cities across the country, according to various estimates. Earlier, the Appointments Committee of the Union Cabinet has extended the tenure of Dr Anoop Kumar Mittal, Chairman and Managing Director of NBCC (India) Limited in recognition of his invaluable contribution and pioneering work towards creating a world-class organisation. The PSU is engaged in many flagship schemes of the government like Swachh Bharat Abhiyaan, Namami Gange, Smart Cities Mission, Skill India, and ‘Housing For All by 2022’. NBCC is a Navratna PSU under the Ministry of Housing and Urban Affairs. The PSU’s current areas of operations are mainly in three segments, i.e. (i) project management consultancy (PMC), (ii) real estate development and EPC contracting.